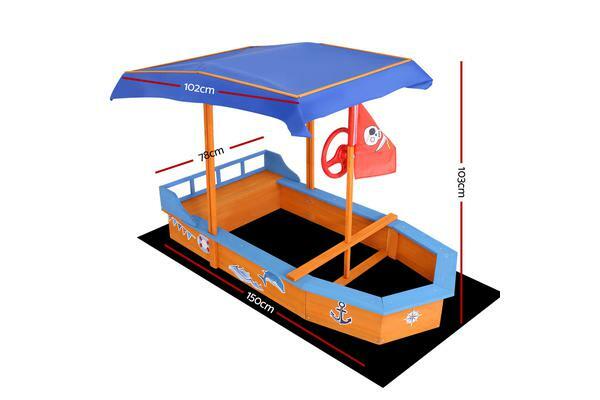 Our Keezi Boat-shaped Sand Pit promises hours of outdoor fun for your kids and friends. With all-round seating for three to seven kids, the sand pit is constructed of treated timber to withstand the elements. 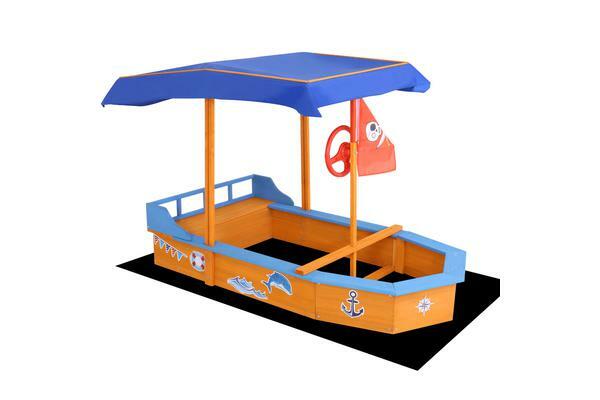 The boat-shaped sand pit also comes with a realistic steering wheel to ‘steer’ the craft and adorable cartoon stickers for your kids to decorate and customize their ‘pirate ship’. 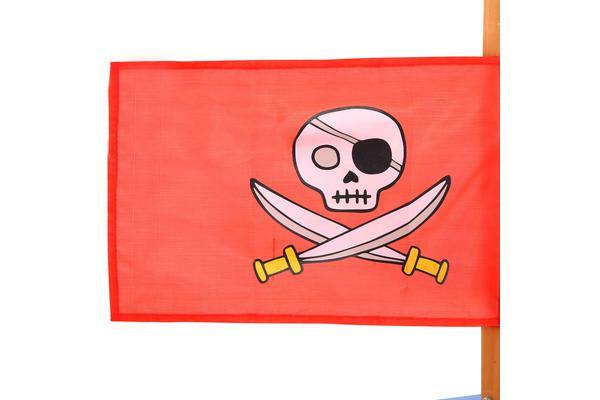 Yes, it also comes with a Jolly Roger flag. Not least, the spacious bench seats and an included ground sheet ensures the sand pit is comfortable for rest and play without worrying about dirt or moisture from the ground.